One of the restaurants we usually go to whenever we go to Florida is Pollo Tropical. My niece loves the chicken, and so do we, but another thing I love about the place is all the different sauces they have available for you. They go from your basic ketchup and mayo to curry, pineapple, and my old time favorite, guava BBQ sauce. Those were pretty much the only times I had it and it was mainly because finding guava anything in the city where I live is not that easy. I could have also bought a bottle of it from them whenever we ate there, but I’m not a big fan of bottled food and I wanted to make it from scratch anyway. 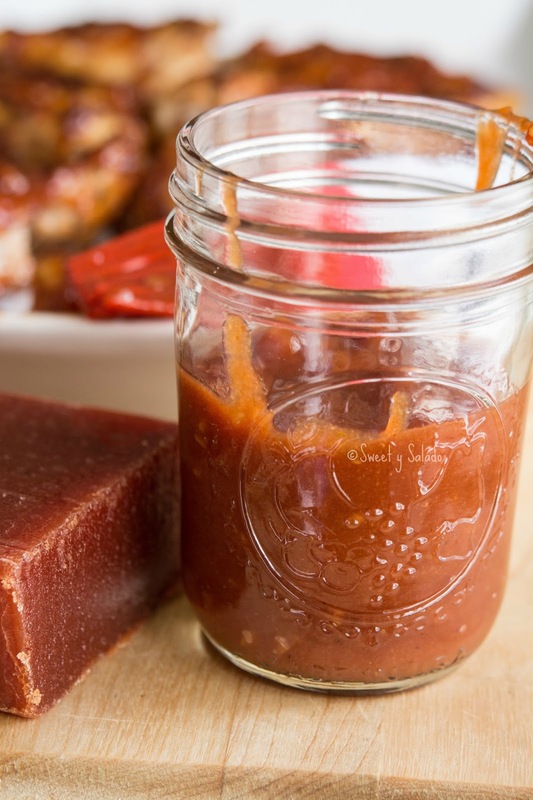 Then, last June, I brought two large slabs of guava paste when we went to Colombia on vacation and that’s when I decided to make it. I found a few recipes online that looked OK, but the one that caught my attention had rum in it and that’s the one I decided to make. I made a few changes to the ingredients and the amounts because I always adapt recipes to my liking and it really came out delicious! 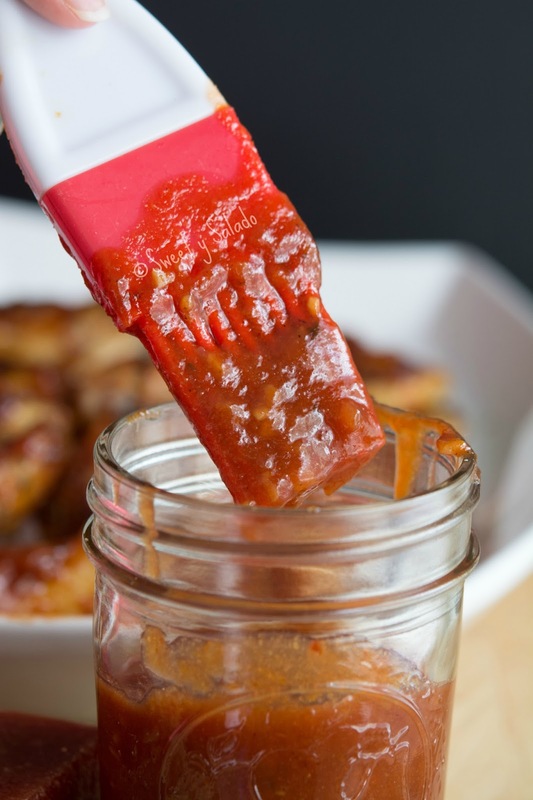 If you want it sweeter, you can add more guava paste, if you don’t like rum, you can omit it, and if you want it spicy, you can add chili powder or half of a chopped jalapeño. Add all the ingredients, except the salt and pepper to a medium pot and bring it to a boil on medium high heat. Reduce the heat to low-medium low and simmer for about 20 minutes or until it thickens. Season with salt and pepper to taste. Let it cool and serve. 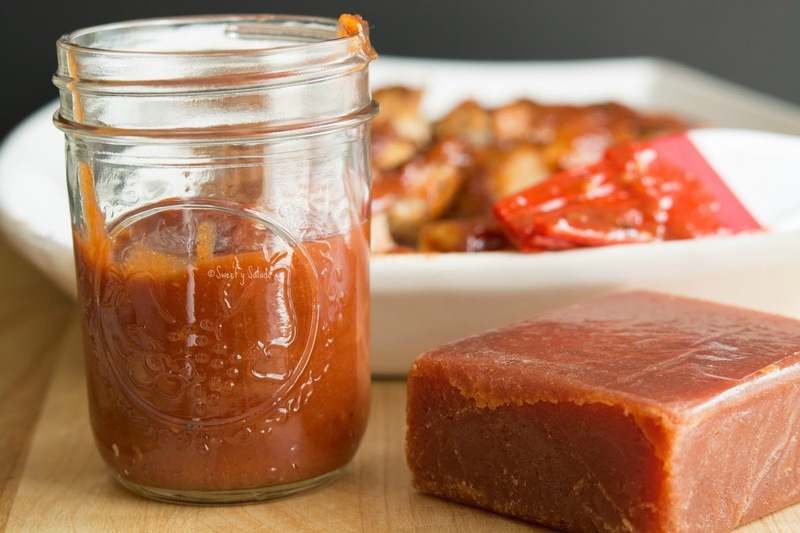 You can refrigerate it in an airtight container for up to one week.